Kane Kramer is a serial inventor. His inventions include the technology behind the MP3 player and Monicall. He was the first to conceive the idea of downloading music, data and video down telephone lines in 1979 when he was 23 and patented it with James Campbell who was 21. Together they went on to pioneer digitalrecording and built the world’s first solid state digital recorder/players. 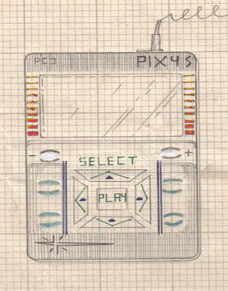 This is what the first Portable Digital Audio player ever looked like on paper. This is an original drawing by Kane Kramer done in 1979 when he was 23 years old. It shows quite clearly the concept Kane believed would revolutionize the music industry. 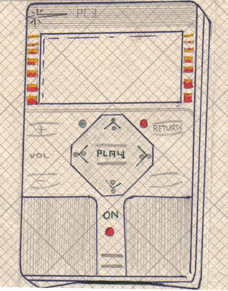 The IXI System report and the 1981 patent explains how the whole idea revolved around distributing music electronically down telephone lines, this was many years before the internet had been invented. Kane’s Patent also allowed for the downloading of data and software, there is no doubt that were it not for the attempted coup to take over control of the company the technology would have emerged earlier. Despite having come up with this idea way a head of the game and at a time when nobody could quite believe a machine didn’t need moving parts, Kane linked up with technical genius James Campbell and together built the world’s first solid state audio recorder/player. After years of development and following four prototype models the fifth pre-production model went on sale at the APRS exhibition at Earls Court – London. Kane was recognised by Apple in 2007 for his inventorship and since has acted as expert consultant. Kramer’s vision for the future was and still is outstanding. 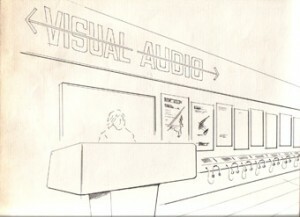 Below is a drawing done in 1982 of Kane’s vision of a music shop of the future. 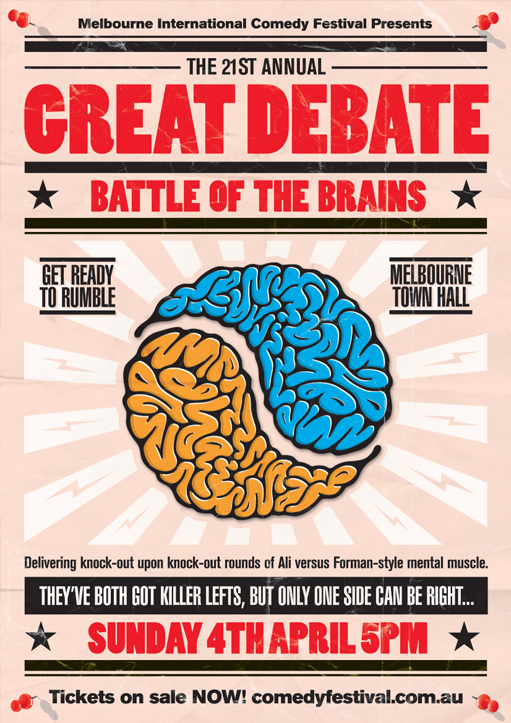 Melbourne International Comedy Festival Posters Number 12. 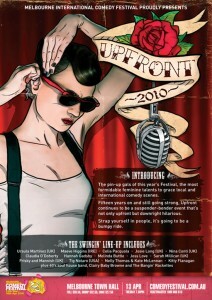 Last in the series is the poster for Upfront, the all ladies comedy extravaganza! 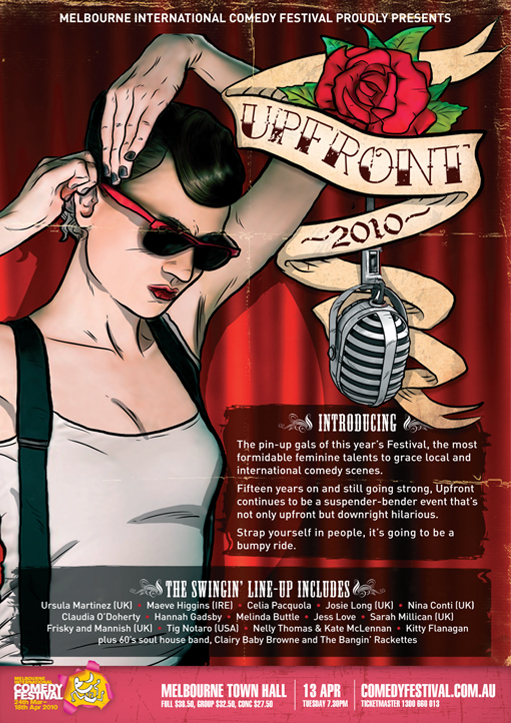 We hope you enjoyed the Comedy festival posters presented here. Stay tuned in the coming days for some great new website designs. 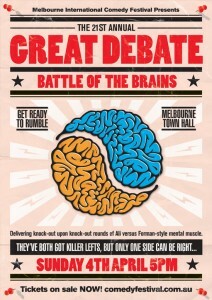 Melbourne International Comedy Festival Posters Number 11. Eleventh in the series is the Great Debate. It features two brains swirling in a Yin-Yang formation, symbolising the eternal battle between Good/Evil, or just plain old Right/Wrong?